The 'troublesome' material remained relatively inactive until her curiosity and ability led her to actively challenge those ideas, while she was also in a situation where the natural fear of abandonment might be suggested, thus clouding her perception of her own reality. This type of limiting psychological suggestion might have resulted from coercive and unintentionally abusive societal interaction perpetuated by the unenlightened and egotistical behavior of individuals around her, which she would later help to unveil, at great length, through the persona of "Seth". For a time she was left between belief systems. In the summer of 1945, when she was 16 years old, Jane began working at a variety store. It was her first job. That fall she continued on the job after school hours and on an occasional Saturday. After attending public schools she went to Skidmore College from 1947 to 1950 on a poetry scholarship. Roberts' grandfather died when she was age 19. It was a time of severe shock for her. She began to substitute scientific world view for religious belief. At that time Jane was dating a man called Walt Zeh, a long-time Saratoga Springs friend. Together they went to the west coast by motorcycle to see Jane’s father who had also come from a broken home. 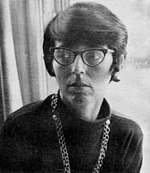 Jane then married Walt and continued to write while taking a variety of other jobs, including society editor for the Saratoga newspaper, and as a supervisor in a radio factory. Walt and Jane lived together for three years. It was then in February 1954 while “cutting up, dancing, and raisin' hell at a party,” that Jane first met the former commercial artist Robert Fabian Butts, Jr. (June 20, 1919 - May 26, 2008). The bachelor had shown up at the shindig on a last-minute impulse. The fourth time they met at another party and, never having dated, Jane 'just looked at him and said, "Look, I’m leaving Walt, and I'm going to live by myself or I'm going to live with you, so just let me know."'" Eventually the two left town together and Jane filed for divorce. Jane and Rob married on December 27, 1954 at the home of his parents in Sayre, PA. Some writers noted, "Husband Robert Butts stated that similarities exist between Seth's ideas and those of various religious, philosophical, and mystical doctrines from the Near, Middle, or Far East… and we've done a little reading on Buddhism, Hinduism, Zen, and Taoism, for example, not to mention subjects like shamanism, voodooism, and obeah." Professor of psychology and noted critic of parapsychology James E. Alcock opined, "In light of all this, the Seth materials must surely be viewed as less than ordinary. There certainly was the time and talent for fraud to play a role, but we cannot discriminate between that possibility and the possibility of unconscious production—at any rate, given these circumstances, there seems little need to consider the involvement of any supernatural agency." Roberts. Jane. The Early Class Sessions. New Awareness Network. Four volumes. Roberts, Jane. "The Red Wagon" in The Magazine of Fantasy and Science Fiction, 1956 (republished 1993, Reality Change Magazine; anthologized in 1975, Ladies of Fantasy). Roberts, Jane. "The Canvas Pyramid" in The Magazine of Fantasy and Science Fiction, 1957 (French edition, 1958). Roberts, Jane. "The Chestnut Beads" in The Magazine of Fantasy and Science Fiction, 1957 (French edition, 1958; anthologized in Triple W: Witches, Warlocks and Werewolves, 1963). Roberts, Jane. "The Bundu" (novella, sequel to "The Chestnut Beads") in The Magazine of Fantasy and Science Fiction, 1958. Roberts, Jane. "A Demon at Devotions" in The Magazine of Fantasy and Science Fiction, 1958 (reprinted in Reality Change Magazine, Winter 1994). Roberts, Jane. "Nightmare" in The Magazine of Fantasy and Science Fiction, 1959. Roberts, Jane. "Impasse" in The Magazine of Fantasy and Science Fiction, 1959 (Spanish anthology edition ca. 1960). Roberts, Jane. "Three Times Around" in the Magazine of Fantasy and Science Fiction, 1964 (anthologized in Earth Invaded, 1982). “Time” in The Saratogian [Saratoga Springs, NY], 1947 Mar 19. “Enigma” in The Saratogian, 1947 Mar 19. “Spring Gaiety” in The Saratogian, 1947 Apr 26. “Rain” in Profile [Skidmore College literary magazine], December, 1947. “Pretense” in Profile, December, 1947. “Code” in Profile, December, 1947. “Skyscrapers” in Profile, December, 1947. “Introvert” in Profile, May, 1948. “Poem” in Profile, May, 1948. “How Public Like a Frog” in Profile, Fall, 1948. “Motorcycle Ride” in Profile, Fall, 1948. “Echo” in Profile, May, 1949. “Death Stood at the Door” in Profile, May, 1949. “Compromise” in Profile, May, 1949. "Lyric" Patterns. v.1, n.1, October 1954. ^ a b c d Klimo, Jon (1998). Channeling: Investigations on Receiving Information from Paranormal Sources. North Atlantic Books. pp. 22, 30. ISBN 1-55643-248-8. ^ Albanese, Catherine L. (2007). A Republic of Mind and Spirit: A Cultural History of American Metaphysical Religion. Yale University Press. p. 501. ISBN 0-300-11089-8. ^ a b "Guide to the Jane Roberts Papers". Jane Roberts Papers, Manuscript Group 1090. Manuscripts and Archives. Yale University Library. 2006-01-30. ^ a b c Kendall, Richard. "Memories of Jane Roberts". ^ "Jane Roberts Author Biography". Hay House Newsletter. Hay House. ^ a b c "Dorothy Jane Roberts Butts". Find a Grave. Retrieved 2014-10-19. ^ Reginald, Robert (2010). Science Fiction and Fantasy Literature, Volume 2. Borgo Press. p. 1049. ^ "Robert Fabian Butts, Jr". Find a Grave. Retrieved 2014-10-19. ^ Lewis, James R.; J. Gordon Melton (1992). Perspectives on the New Age. SUNY Press. p. 108. ISBN 0-7914-1213-X. ^ Richardson, Robert D. (2007). William James: In the Maelstrom of American Modernism. Mariner Books. p. 548. ISBN 0-618-91989-9. ^ Williams, Sue R. "Index of Eleven Seth Books" (PDF). ^ "How it all began". Archived from the original on 2012-11-21. ^ Tyler, Paula (1987). New Age Metaphysics: An Introduction for Young Adults. Ozark Mountain Publishing. p. 40. ISBN 0-9617920-0-0. ^ a b Helfrich, Paul M. Ph.D. (2005). "Seth on The Origins of the Universe and of the Species ~ An Integral Conscious Creation Myth". Archived from the original on April 5, 2010. ^ "About Seth, Jane Roberts and Robert Butts". California Seth Conference. Archived from the original on 2012-08-28. ^ "Estate sale of Jane Roberts, Robert and Laurel Butts happening online". The Los Angeles Seth Material Readers Group. 2013-01-04. Retrieved 2014-10-19. ^ "The Seth Audio Collection". ^ "Rick Stack Presents Seth Classes". ^ "Seth Conferences in Los Angeles and New York". ^ Newport, John P. (1998). The New Age Movement and the Biblical Worldview: Conflict and Dialogue. Wm. B. Eerdmans Publishing. p. 165. ISBN 0-8028-4430-8. ^ a b Fuller, Robert C. (2001). Spiritual, But Not Religious: Understanding Unchurched America. Oxford University Press. p. 60. ISBN 0-19-514680-8. ^ Upton, Charles (2005). The System of Antichrist: Truth and Falsehood in Postmodernism and the New Age. Sophia Perennis. p. 173. ISBN 0-900588-38-1. ^ "Channeling – a spirit speaks". ^ "Demons and Magic". Grace to You. ^ Moyer, Ernest. "10, Devil Possession: Jane Roberts and Seth". Spirit Entry into the Human Mind (PDF). p. 95. ^ "Jane Roberts' Seth Speaks is Anti-Catholic Hate Books – Allowed By The Media".